LAGOS DECEMBER 8TH (URHOBOTODAY)Former Secretary to Delta State Government (SSG), Chief Obarisi Ovie Omo-Agege has been elected National Chairman of upper most Urhobo political pressure group under the aegis of Urhobo Political Congress (UPC). Before his election recently at Ekpan, Effurun, Delta State by the enlarge membership of the group, Omo-Agege who had contested for Delta State Governorship election twice was the Acting Chairman of the group. 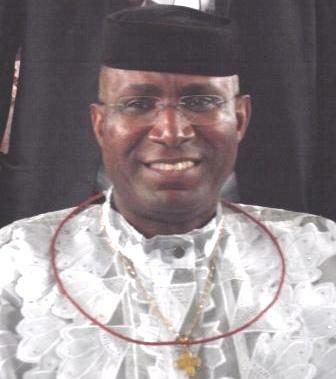 After consultation and deliberation of Urhobo leaders within the group from all the local government areas which made up the Urhobo enthnic nationalities, they discovered that Omo-Agege is a leader that have been fighting the course of the Urhobos and who had created better life for urhobos indigenes deserved to be made the Chairman of the group. Thus, Omo-Agege was elected unopposed. Speaking with Urhobo today immediately after his victory, Omo-Agege who fought gallantly to ensure that Chief Emmanuel Aguariavbodo won the Delta Central Senatorial seat in the just concluded bye-election despite that he contested the primaries with him said his ambition is to galvanise the Urhobos so that they could speak in one voice. “That is a task we have just begun. It is an assignment we are taking very serious. Like I made it clear today, before my ascension to this position of the national chairmanship of UPC, I was Ovie Omo-Agege who was a candidate in the past elections. If that be the case, I must have stepped on toes and what have you. So the interest I protected then are going to be different from the interest I am protecting now. Because as the National Chairman, my doors are open, my hands are open and I am going to be reaching out to everybody. Their interest is more important than my interest at this time. “My charge to the people of Urhobo nation is that they should come together, work very hard, stick together and do not allow themselves to be balkanized or be deceived,. The Urhobo nation should speak with one voice, so as to be able to take their rightful place in the committee of ethnic nationalities within Delta State come 2015. The only vehicle to that political Jerusalem is UPC,” Omo-Agege advised. To achieve the aforementioned objectives, UPC under Omo-Agege leadership had started making moves to bring all the different Urhobo splinter groups together under its umbrella. Omo-Agege maintained that members of UPC have been able to put to rest the difficulties associated with national executive of the group and the replacement of the insignificant few that left not so long ago. He added that they have been able to resolve the minor problem they had after consulting fully with the leadership of the different local government areas in order to bring people who will be dedicated. He added that in a large extent have achieve it and are ready to roll. “Basically, when we formed UPC, the original idea was to bring everybody within the political class in Delta Central together so we could speak with one voice. As a fall out of the last Senatorial election, some people felt it was wise for them to pull out and form different groups. It is constitutionally guarantee for everyone to associates with whoever they choose. Be that as it may, we still owe it to our people, the Urhobo nation as best as possible not withstanding this little skirmish to still go out and bring everybody back together.